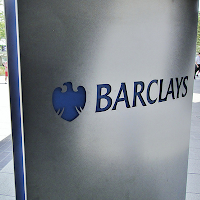 The Dividend Drive: Barclays (BARC) to Cut Dividend by nearly 55% in 2016 and 2017 - What To Do Now? Sad news! 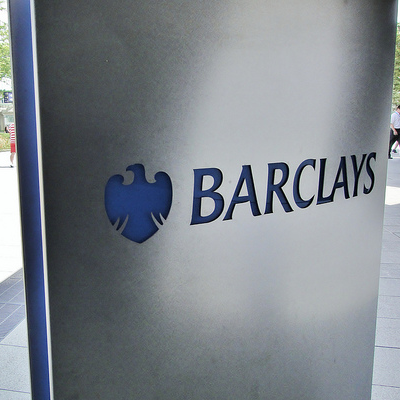 Barclays' (BARC) final results for 2015 did not read well for dividend investors. I have been invested in the banking giant since January 2014. Since then my investment tick list has changed dramatically which would have seen all of my banking holdings--HSBC (HSBA), Banco Santander (BNC), as well as Barclays--fail to make the cut. For those of you who have been reading some of my recent analysis articles on Seeking Alpha and elsewhere you will see what I mean. Now my investing philosophy is focused on cash generation. In particular, I have focused on a specific metric: CROIC (cash return on invested capital). At some point I plan to write a fuller article on this change of philosophy and how it affects my portfolio going forward. Already I have been using it in making a number of decisions about new additions and replacements. These have not been written up as yet as I want to do an updated "my investing philosophy" post first to get the basics set out first. Something for another day, I think! Nonetheless, this changed philosophy means that all three banking holdings have been, I suppose, on borrowed time in my portfolio. As it happens, however, these three had stayed as I still believe they have attractions. Yes, I may not have added them to my portfolio today but I have not felt moved to jettison them either. Even Banco Santander's dividend cut last year did not move me to sell. Now Barclays is set to join the same ignominious rank as Banco Santander in my portfolio: a dividend cutter. We have declared a final dividend of 3.5p per share, making 6.5p in total for 2015. However, we intend to pay a dividend of 3.0p for 2016 and 2017. We expect to set appropriate dividends as Core and Group earnings become aligned through Non-Core run down and reduction of legacy headwinds, and we expect to pay out a significant proportion of earnings in dividends to shareholders over time. We will pay dividends semi-annually from 2016 rather than quarterly. The dividend is therefore set to drop nearly 55% for the next couple of years. Time to sell then? Well, not in itself. Obviously, I would prefer not to see the dividend plummet like this. Yet this is not enough to induce me to sell. What has shifted my view on Barclays is related to its planned departure from its African ventures. Barclays has been in Africa for over 100 years but has now decided it is time to end its relationship. Now I understand the reasoning. Its status and changing regulatory environments means that the African unit "presents specific challenges to Barclays as owners." Barclays' majority stake in its African arm means that it has to hold capital against 100% of its African arms assets even though it only holds a little over 60% of the company. The effect on the banks return on equity is therefore quite striking. Chiselling about a third off its ROE at Barclays corporate level. I understand this. Yet it raises big questions about the place of Barclays in my portfolio. First I am concerned this is an example of short-term thinking on the part of Barclays management. Africa remains a potentially lucrative banking growth driver in the short, medium and long-term. Certainly, short term it is a riskier asset than Barclays' UK and US operations. Long-term, though, the unit would be increasingly important. There is another issue. Who will buy it? I don't think there are many potentially buyers out there. the problem is that it is just too big to easily sell. Such is its size there are few buyers big enough to eat the whole African unit. Consequently, it will likely have to be sold off in smaller segments. can they get a good deal this way? I don't know. But I have my doubts. It is not all bad news. The other aspect of Barclays that I found attractive--Barclaycard--continues to do well. In 2015 it saw income grow 13%. But I just do not think this is enough to sustain my investment. Minus the dividend even holding out for better days is less attractive. Factor in the opportunity cost and I have to say, Barclays looks increasingly out of place in my portfolio. Barclays have left me with a conundrum. I still like its Barclaycard business. Yet almost everything else tells me it is time to cut my losses as my investment thesis has withered away. The reality is that I plan to accelerate the sale of my Barclays holding. Dropping and then flat dividends. African business exit. Generally weaker progress. All point me in this direction. Where to invest in turn? I am not sure. A certain "symmetrical" move would be to build up my holding in Old Mutual (OML). It is largely an African operation with a hefty banking operation (NedBank) alongside its more familiar insurance element. It also has the benefit of a generous and well-covered dividend yield. Indeed, it may even indirectly look to pick up some of Barclays' attractive assets in country. There are plenty of attractive options out there. Right now, I may just wait a little while to see how the dust settles after these results. But I am now actively looking for an exit point. Great post as usual. Banking in the UK seems to be under pressure (a bit everywhere really), I hold HSBA and recently they confirmed the dividend as in 2015, so I guess we are in for another year at full speed (I hope at least). I will be really interested to know more about the new investing philosophy, sounds quite interesting! One question (off topic): any thoughts on Pearson? Thanks, stalflare. Yes, HSBC is operating "as usual" at present. I was happy to see the modest boost to the dividend. This is good news. Hopefully signals it is not likely to be cut for a while (I may be wrong though!). I was expecting BARC to either sell African assets or cut dividend to help bolster capital levels. To do both was quite a shock. Judging from the market reaction, I was not the only one surprised! Yes, the investing philosophy is really just a more close connection between what I invest in and the high cash generating efficiency of the business. I have noticed that those in my portfolio with higher free cahs flow returns have held up better and continued to perform as usual. Plain "value" plays continue to underperform. A long-term dividend investor thus looks better set to follow these high cash generating businesses. We will see! Plenty of thoughts on Pearson! I like what they are doing. It is overdue though. The market seems to think that they are unable to react well enough to the digital world. They may struggle. But I think they can pull off a RELX and manage the transition well. Education is getting more important across hte globe. In light of this, Pearson looks well placed. At the moment they have merely handled themselves poorly. If this turns around, they should be fine! You tempted to open a position?